bon fortune is pleased to present a rare opportunity to learn techniques from world renowned sugar artist and cake designer, julie simon at rose story farm. In this exclusive workshop, Julie will be teaching students her proprietary techniques for sugar work that will be accessible even to the beginner. During a fun-filled day of hands on sugar crafting amidst acres of roses in bloom, guests will enjoy a Delicious chef prepared al fresco lunch - paired with rosé wine of course! 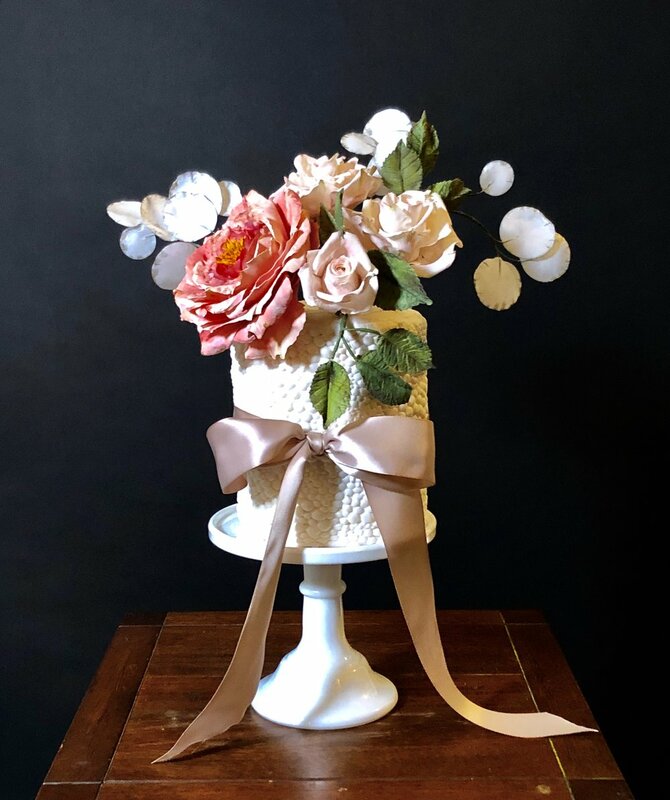 - students will create their own version of Julie’s classic roses and pearls cake (pictured here) as a display to take home and delight their friends and family. click here for details and to register. ONE DAY ONLY SUNDAY MAY 19th, 2019.